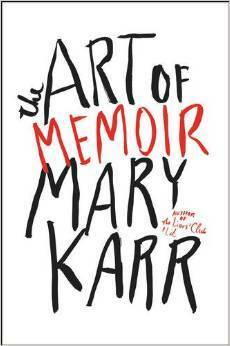 To be honest, I had no idea who Mary Karr was when I decided to read The Art of Memoir on a whim. I didn’t know that she had written several well-known memoirs prior to this book nor that she had taught the likes of popular memoirists like Cheryl Strayed, etc. I had just finished reading a few memoirs at the time (Hilary Clinton’s What Happened being one of them) and was interested in learning how memoirists crafted such captivating stories of their lives. When I realized who Mary Karr was– and actual writer of memoirs?! An actual professor of memoir writing? !– I became even more eager to read this book. Fortunately, I was not disappointed. I listened to the audio book version of The Art of Memoir while on my flight from Boston back to Oxford for the beginning of Hilary Term. The fact that I was able to sit through an entire audio book basically in one sitting is a testament in itself that this book is interesting, engrossing, and good enough to compete with my love of listening to the same song over and over and over again on long flights. Karr narrates the audio book herself, and if you’ve followed my blog for a while then you probably know that I absolutely adore when writers narrate their own books. Her voice is engaging and strangely soothing and her tone is like a cross between chatting with a longtime friend and discussing writing with a close professor or colleague. While I usually prefer the paper versions of book, I must admit that The Art of Memoir translates excellently into audio book form! A major strength of this book is that it successfully juggles the needs and desires of numerous audiences. Karr often acknowledges that some parts of the book are geared more towards people interested in writing memoirs of their own, while other sections will likely be more interesting to people who have actually read her memoirs. This balance of catering to both writers and non writers can be tricky, but Karr handles it quite deftly. The Art of Memoir contains a varied mix of writing advice, explorations and analysis of famous memoirs, personal anecdotes and life experiences, snippets from her own memoirs, etc. Rather than come across as a jumbled mess, Karr’s masterful writing ability ties these disparate parts together seamlessly. And did I mention that her writing is incredibly witty, clever, and beautiful? Because it is. My only qualm with this book is minor but still worth mentioning: as someone who has not read Karr’s actual memoirs, I found some parts to be a bit confusing. It seemed as though she assumed that the majority of readers likely would have already read her memoirs, meaning that she offered very little explanation when referencing them. However, this did not detract from my overall enjoyment of reading the book and has even made me more eager to read her memoirs in the near future. Overall, The Art of Memoir is an enjoyable read no matter if you’re interested in writing your own memoir or are simply interested in learning more about Mary Karr, her life, and how she approaches the memoir writing process. If you’re ever on a plane and need something to listen to for five hours, I would highly recommend this book! What are your thoughts on The Art of Memoir? Would you recommend any of Mary Karr’s actual memoirs? Do you have a favorite memoir in general? Let me know in the comments section below! I’m definitely going to have to pick this up! I took a couple classes on memoir writing in college, so I’m always interested in books like these. 🙂 Great review! Thanks, Kate! I hope you enjoy it!